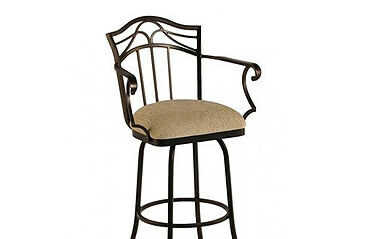 The Berkeley stool has a nice rounded back and seems to fit tall and short people, comfortably. It hugs around your back with a relaxed feel and can even support stockier builds with ease. The look has a unique design that can fit to any decor style. The roomy body style fits in even tight places without looking overbearing. This is an attractive stool so it doesn’t seem like you’re putting just anything there so it fits. We have had many people try this stool out with a 95% satisfactory success rate. 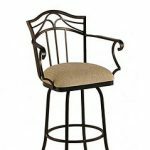 The cost of this stool is very reasonable and compared to wood stools, at the same price, you’re getting lifetime quality. This stool can hold over 500 pounds so you don’t have to worry about Uncle Harry coming over and breaking it! All of Callee’s stools have the same durability.